Are you looking for guidance? Do you feel stuck? Do you wonder why you keep making the same mistakes over and over again? Do you need help in makes your life’s decisions or finding your true love? Contact Gwen, and let her help you find the happiness that you deserve to have! A note from one of Gwen's clients. “Dear Gwen, My mind was rattling around for weeks trying to make a major decision so I finally knew I had to speak with you. You not only provided me with concrete steps to take - you were warm and caring. And I appreciate that my father came through as one of my guides. I am in awe of how you provided details that only I knew. The short meditation prior to the reading was a relaxing gift. Thank you and I will call you again to ensure I am on course to living my successful life” (Satisfied Client). Watch the YouTube video below to see what Gwen does, and how she structures her reading. 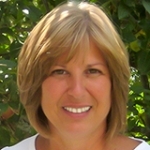 As an empathic psychic medium channel, Gwen has the ability to connect with you on a soul level. She also connects with your guides, angels and loved ones from the other side. All of your guides and guardian angels want you to find your happiness and be happy. Contact Gwen and let her help you make sense of the energy that is all around you. Gwen's specialty is transpersonal psychology, and she wants to help you get unstuck so that you can move forward on your soul's journey. She is a metaphysician/spiritual consultant/life coach who has studied many subjects: Mediumship, Advanced Angel Healing, Integrated Energy Therapy, Reiki (Reiki Master), Tarot, Astrology, Herbalism & Horticulture. She has been doing readings/consultations for over 20 years now! The Foundation of her teachings is Shamanic in nature but with a very eclectic slant based on many teachings. She has many tools in her tool bag and will use whatever is appropriate when reading people. Her “Soul's Mission” is to help people move forward on their journeys. As a conscious channel, she works with a guide who she calls Archangel Michael. She resonates with Michael because he helps her to cut through to the truth of what needs to be done. Her book "Living Your Successful Life" is about transpersonal psychology and her spiritual journey to finding her truth. This book also guides you through the different aspects of your "SELF" through observations in awareness, self-realization, and meditations. She has a Master’s Degree in Metaphysical Sciences from the University of Metaphysical Sciences based out of California. Her focus is in Transpersonal Psychology which is the psychology of the self. She uses this knowledge acquired to help others become empowered so that they can continue moving further on their journey to “Living Their Successful Life”. Some of her teachers from the New England area and others include, but are not limited to Christopher Penczak (renowned Metaphysical Author, Teacher & Healer), Wendy Snow Fogg owner of Misty Meadows (Teacher & Healer), Elizabeth Foley, John Holland, Janet Nohavec and Lyn Roberts-Herrick. She is also an Ordained Minister through the “Universal Life Church”. She moved to Sedona Arizona for a year to pursue her spirituality and has traveled as far away as California and Hawaii to pursue her insatiable quest for knowledge of the unknown and unseen world. Well, that is what I have done! I also connect other practitioners, give professional advice and create websites for others within the New Age industry. Please feel free to email me gwenhoughton@outlook.com with any questions. Gwen gave me my first reading ever. It was spot on and provided me lots of information about my situation and showed me guidance to get unstuck from this hermit stage I was in after waking up recently. Amazing person, lots of great love energy at the in-person reading. Would recommend her to everybody!! Gwen was able to tap into the collective unconscious and help me validate direction in my life. Thank you Gwen! Thank you Gwen for your very insightful reading. It's been over a month since we talked and I am still gaining insight from our conversation. I'm not usually easy to read since i tend to be an intuitive myself, but you were very helpful to me and confirmed I am on the right path, yet provided a deeper insight to my life's purpose and path. Thank You! I had my first phone reading with Gwen yesterday. She made me feel very comfortable. Gwen immediately tapped into who I was and what I was feeling. She was very kind and easy to talk to. I will definitely be calling on her again for spiritual guidance. I have had a few readings with Gwen. She always manages to bring to the surface the things I have been dealing with in my subconscious and unable to express. She helps get me grounded again and back on track. She is so kind and open. It is like talking to a good friend. Only one that talks to spirits. Gwen has a truly amazing ability to "see" things. I was a skeptic, now I believe. She truly has a gift. Gwen has a very honest and genuine connection to the unseen world, and where messages are not always spelled out neatly, she is incredible at interpreting and articulating the information being sent through. Her maternal tendencies act to reassure that she has your highest good at heart. No smoke and mirrors. Every message is delivered with wisdom, guidance, and positivity. She has helped me through tribulations in love, career, and spirit. I can't recommend her enough! Gwen is a very gifted medium. Her generosity of spirit shines through with her willingness to explain the messages in complete detail. She is not vague or mysterious, she is clear, genuine and sensitive. I wasn't expecting any earth shattering revelations, since I thought I had a pretty healthy grasp of my life thus far. Boy was I wrong. Gwen gently revealed the truth to me, and it was a perspective I would never have considered on my own. I am grateful for her wisdom and guidance. Gwen is such a welcoming and genuinely kind person, I felt instantly comfortable & calm around her. She was able to connect to my loved ones that have passed & she also helped to clarify & validate some of the issues that I had been struggling with. I left with a new sense of focus, direction & a profound level of peace. I would definitely recommend Gwen to anyone searching for a truly positive experience in finding clarity & guidance in one's journey. I had a reading with Gwen on January 30 th. I was a bit nervous, but she made me feel at home and comfortable immediately. The session flowed easily and I came away with new energy and understanding about my life path. I would recommend seeing Gwen to anyone seeking knowledge and focus on their past Gpresent and future. I had a phone session with Gwen 2 weeks ago.She didn't know any details about my personal matters/career issues.I didn't share any information till I got a sense of what was really needed for Gwen to make sense of my situation. It was as if she knew me for the past couple of years for her to make comments on my professional challenge currently!she even connected to my deceased aunt and father in law, relaying positive encouragement. I totally recommend her, as she is genuine, easy to talk to. Truly gifted. I really look at her as my life coach. As a psychic, she is able to get in touch with the spirits who are around you, your loved ones. I arrive to see Gwen with many questions and leave feeling a tremendous burden has been lifted and with a plan for a positive direction in my life. She can help you navigate your way and find your best life that is out there waiting for you. Go see her, you will not be sorry!! I had a reading with Gwen just 2 days ago. She did a wonderful job in pointing out that I am on the right path in my life, validating thoughts that I have been having about my business. I asked her at the end to see if a recently deceased relative of mine had anything to say. And they did, Gwen said things that only a selected few in my family knew..I was absolutely floored. I definately plan on stopping by to see her again. It was like meeting an old friend. Gwen was spot on with her reading. I left feeling so much more positive. I acquired knowledge about my past, present and future and myself. It was a wonderful experience. I would recommend it to everyone. You can go in doubting and come out a believer. My "reading" with Gwen was an eye opener... we talked for well over my allotted time.She wanted to make sure i understood what she was trying to get across. The cards never came out...she just didnt need them. She picked up on things from my past that are more than likely manifesting now. Am i cured? No. Do i now have a direction and lots of homework? You bet! That was exactly what i was hoping for! I feel that i will now find my answers and relief is coming..... THANK YOU GWEN! I had a reading with Gwen this morning. She helped me see that I was on the right path and should continue to do so. Focus on the healing and keep doing what I am doing. That made me feel great. Also, I asked about a couple of dead relatives that I think about daily. She was able to tell me what they were thinking and trying to do for me. I felt so at peace knowing that I am not in this alone and that those relatives main purpose now is to help me. Thank you Gwen, great job!!! I brought my daughter to see Gwen on a mutual day off. Gwen helped her make sense of what she alone has been experiencing for much of her life. She has been much more at ease since that visit. Gwen helped us gain an understanding that we have sought for a long time THANK YOU GWEN!!!! It is obvious that Gwen is a gifted reader....it wasnt that kind of visit....am looking foreward to a reading!!! Gwen did a reading on me about a week ago, and I was beyond impressed. It was at her home (she can also do a phone reading) - I had never felt so welcome anywhere. She has a big heart and I think that is one of the reasons she has her ability. I was feeling a little lost and I wanted to see if my best friend was alright. She used tarot cards and a mix of other techniques throughout the session. It was very professional - I would recommend her to anyone!